The moonlight was hazy and the stars were shining faintly. Under the dark blue night sky, the grounds wThen why did Brother Paul said all scripture is given by inspiration of God? How do you interpret his wordsere perfectly still. The chirping of the crickets and the occasional bark of the dogs made the streets even more quiet. It was already late in the night, but Siyuan was not sleepy. He was attentively preparing the sermon for the second day. While thinking of preaching on “faith,” he intended to fellowship Job’s testimony with his brothers and sisters. So he immediately turned to the Book of Job, and happened to see that Satan made the following accusation against Job: “Does Job fear God for nothing? Have not you made an hedge about him, and about his house, and about all that he has on every side? you have blessed the work of his hands, and his substance is increased in the land. But put forth your hand now, and touch all that he has, and he will curse you to your face” (Job 1:9-11). Siyuan thought: Satan is really evil and base. It actually thought out such a trick to accuse Job. Was it not just because it wanted to make people not whorship God and follow it to do evil things? Satan is truly Satan. Even its words reek of evil. Just then, a clear thought came into his mind: This is Satan’s words! Siyuan was stunned: Isn’t it said that all the words in the Bible are God’s words? Why are there Satan’s words? What is going on here? Siyuan stopped writing and went on to flick through the Bible. Only then did he find that the Book of Job is not the only book in the Bible that records the words of Satan. For example, in Genesis, there’re words that Satan spoke to entice Eve; the New Testament also records some words that Satan spoke to tempt the Lord Jesus. At the time, Siyuan thought: From the time when I began to believe in the Lord till now, and when I studied theology, the pastors and elders have always told me that the Bible is inspired by God and all the words in the Bible are God’s words, and I also preach this to brothers and sisters. But now it seems that there is a big problem with this saying. If Satan’s words are said to be God’s words, isn’t this blasphemy against God? The sin of blaspheming God shall never be forgiven! At this thought, Siyuan couldn’t help feeling horrified, and a cold sweat burst out on his brow. Siyuan found he didn’t understand the Bible at all. Although he could recite some passages of the Bible backward and forward, was familiar with the people in it, and clearly knew the background of their times, he had never thought that there are many Satan’s words in the Bible. This made Siyuan confused: Since what the Bible records is not all God’s words, then is the Bible inspired by God? If it is not inspired by God, why did Brother Paul say “All scripture is given by inspiration of God, and is profitable for doctrine, for reproof, for correction, for instruction in righteousness” (2 Timothy 3:16)? Being extremely puzzled by these questions, Siyuan decided to go and have a discussion with his classmate Zhang Yi, who once studied theology together with him. Why Do Almighty God’s Work and Word Exceed the Bible? Hello Brother Xiaoyang, After your bearing witness to Almighty God’s work of the last days for me, I have watched many gospel movies, videos and songs, and artistic performances on The Church of Almighty God’s website. I can see that The Church of Almighty God truly has the work and.. I came across some errors in the Bible once I read the Bible. 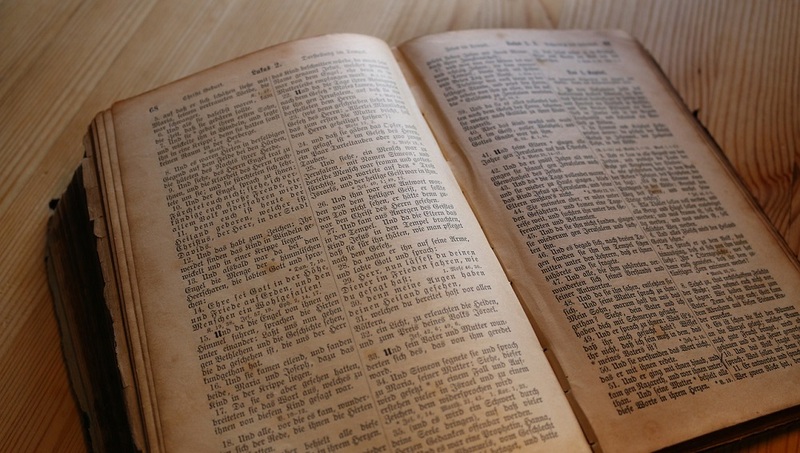 After understanding the inside story of the Bible, I changed my attitude toward the Bible. How did the Bible come into being? What kind of book is the Bible? The answer from God’s word: “The Old Testament, which describes Jehovah’s work in Israel, and the New Testament, which describes Jesus’ work in the Age of Grace, are both records of God’s work in two different eras. The Old Testament records His work in the Age of Law, and so..